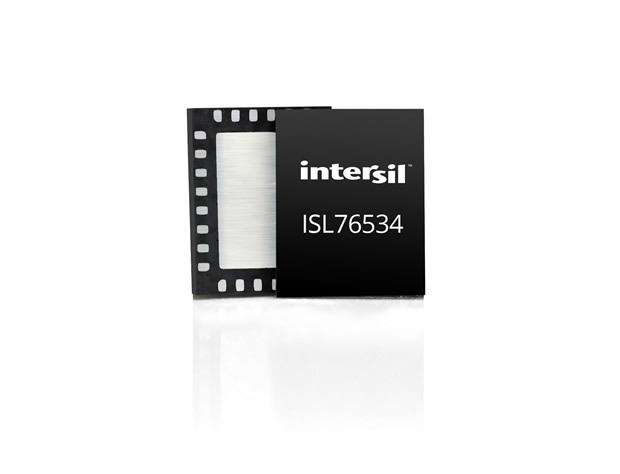 A provider of innovative power management and precision analogue solutions, Intersil, has announced the industry’s lowest power 14-channel programmable gamma buffer for automotive TFT-LCD displays. The automotive-grade ISL76534 delivers the highest accuracy gamma calibration to ensure consistent brightness and colour matching of every LCD panel inside a vehicle. The ISL76534 is ideal for next gen LCDs designed for infotainment displays, Advanced Driver Assistance System (ADAS) smart mirrors and instrument cluster displays. The ISL76534 circuit architecture makes it easier to use than competitive solutions. No power-supply sequencing is required--either analogue or digital power supplies can startup first. At initialisation, all gamma buffer and Vcom output channels monotonically start up together in a controlled fashion preventing any possibility of an LCD panel lock-up. This adds another layer of reliability for ADAS and safety systems, such as backup cameras that rely on LCD panels to startup immediately and work flawlessly. In addition, the ISL76534’s high 75dB PSRR prevents power supply noise from reaching the gamma buffer outputs and becoming visible in the LCD panel. The ISL76534 also provides the industry’s lowest power consumption at 56.6mW, which is 5x lower than the closest competitor. Its low maximum output current for analogue, digital, and Vcom supplies simplifies power supply and thermal design. The device’s low power dissipation also eliminates the need for heatsinks, prevents junction temperature overheating, and allows engineers to use lower cost LDOs instead of switching regulators.